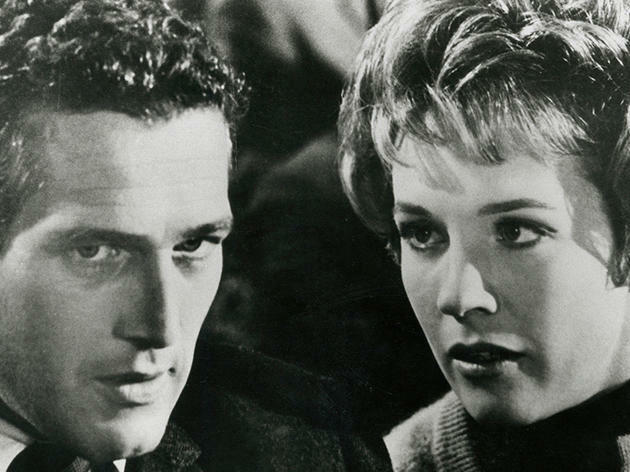 Spy thriller in which Newman's defecting scientist is followed to East Berlin by his troubled fiancée/assistant (Andrews), unaware that he is playing a double agent game. 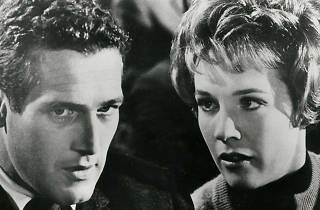 Hitchcock, seemingly too dour or too uninterested to turn in the title's promise of a Cold War ripping yarn, settles instead for a dissection of the limits of domestic trust, as Andrews' doubts about Newman's fidelity (to her, to the American Way) hinder his undercover mission in pursuit of an Eastern bloc MacGuffin. An above-average quota of glaringly shaky process work; but at least one classic sequence of protracted violence in a farmhouse kitchen. I don't understand why everyone talks about the one classic scene. To me the scene where Newman feigns knowledge of the formula in order to get information is a classic scene also. All in all this is a great movie.